Welcome to the Original Austin Stay at Home Dads site! UPDATE: This webpage is here to preserve the historical group website ONLY, please Find Us Here on our facebook page if you are interested in joining. Austin SAHDS was formed in April, 2003. 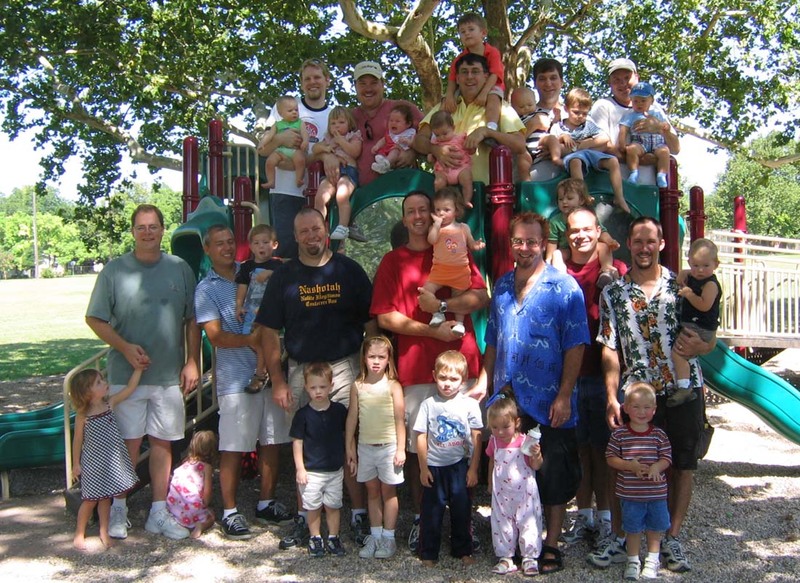 We are a group of Dads in the Austin area who are taking care of our kids and looking for both adult and child interaction. Our kids are from 1 month to 5 years old. Currently we have five scheduled playdates each week, and a weekly hike on Town Lake. Once a month we have a "Daddies night out". Our current roster includes about 190 members and growing each month! We're looking to get the word out, so please forward this webpage on to any SAHDs you may know. We welcome expecting Dads to join our group. We'll be more than eager to help you prepare for your new family member! We used to use a Yahoo! Group for all our communications. We're now on facebook. 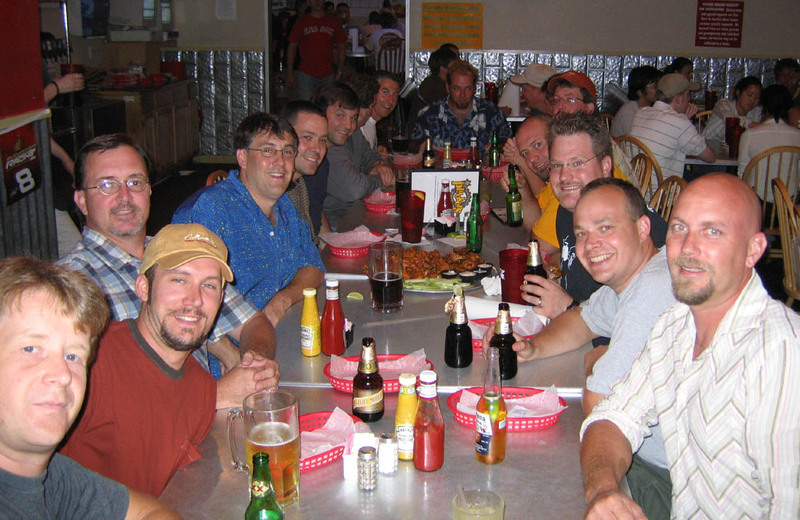 Austin Stay-at-Home Dads Visit our group and request membership if you'd like to join (you must have kids and live in the Austin area). You'll need to fill out this membership form to join. Keller-Willams Real Estate Agent Tom Sunstrom Tom is an active dad in the group AND father of three AND a real estate agent! Balcones District Park - From Austin, take Mopac North to Duval road and head northwest (left). Take a right onto Amherst after ¼ mile. The park entrance is immediately on your right. Take 183 North and exit Burnet Road. Turn left onto Burnet Road (you will be driving under 183 and pass the Olive Garden) Continue past Northcross Mall on Burnet Road. Look for Pegram Ave. (this should be somewhere in the area of Dallas Nite Club) Take a right on Pegram Ave. Take a right onto Ardath Street. Brentwood Park - Take Burnet Road North from 2222 or South from Anderson Lane to Justin Road and head east. Travel .6 miles on Justin and turn right on Arroyo Seco. The park is immediately on your right. Central Market Playdates - Located at 40th and Lamar. Take Mopac to 35th. Go east. 35th turns into 38th, tyrn left on Lamar, right into strip mall parking lot. Playscape is located on the south side of Central market building across the wood deck. Circle C/Slaughter Creek - Mopac south to Slaughter lane, turn right on Slaughter. Take the first left after Escarpment. This one is not very visible or well signed. It will just look like a road going into the woods. The park is about a ¼ mile in on the right. IH35 North exit Wellsbranch Parkway. Turn left onto Wellsbranch Parkway at the light. (you will be traveling West) Take Wellsbranch Parkway to Wellsport Drive. (this will be the first light you come to on Wellsbranch Parkway from this direction.) Take a right onto Wellsport Drive. Take a left on Klattenhoff Drive. Park and pool are on the right. Take 360/Capital of Texas Highway to Lakewood Drive (just north of 2222). Head west on Lakewood Drive about .3 miles and the parking lot and playground are on the right. Take 183 North (from the Arboretum) and get off at Spicewood Springs Rd. Take a left under the highway and take Spicewood Springs to a traffic light intersection with Scotland Wells Drive going right. Turn right on Scotland Wells and travel .7 miles. Take a right on Westerkirk Drive. The park is down the road on the left. Oak View Park - Take 183 North (from the Arboretum) and get off at Oak Knoll Drive. Turn left under the highway, cross Jollyville Rd, and keep going until you get to Fireoak Drive. Take a right and an immediate left onto Oak View Dr. The park is .4 miles up on the right. Ramsey Park and Pool -Take Mopac to 45th Street exit and head East. Take a right on Rosedale Avenue, just before the light for Burnet/Medical Parkeway. Go one block and Ramsey Park will be on the left, between Rosedale and Burnet. Rattan Park - Take Mopac North to Parmer Lane. Turn left on Parmer Lane. (you will traveling West) Travel past McNeil Drive. Turn left onto Tamayo Drive. This is the entrance into the Millwood subdivision. Stay on Tamayo Drive until you see the park on your left. Parking lot is next to the tennis courts. Reed Park and Pool -Take Mopac to 35th Street exit and head West. Go ½ mile and take a left onto Pecos Street. Go ½ mile on Pecos Street, and Reed Park will be on the right side. Rollingwood Park - From Mopac and Bee Caves Road (2244), head west on Bee Caves Road ½ mile to Edgegrove Drive (near a Texaco station). Edgegrove ends at Rollingwood. Take a right onto Rollingwood, a quick left onto Gentry, and a quick right onto Nixon. Park by what appears to a police station and look for the trail heading to the awesome playscapes. IH35 North exit 620. Turn right at the light onto 620. Turn left on Austin Ave. (there's an oil change place on the corner). Go left on Brown Street. Turn left on West Anderson Ave.. Right on Lee Street. Memorial Park is on the left. Take 183 North to Anderson Mill Road. Turn right onto Anderson Mill Road. Pass Pond Springs Road and the park will be on the right. If coming from 620 Take 183 South and turn left onto Anderson Mill Road. Suntree Park - Take 2222 west to Riverplace Boulevard (a few miles east of 620). Turn left into Riverplace and follow the boulevard until you come to Suntree Cove. The sign for the park is on Riverplace Boulevard, and there is parking if you take a right onto Suntree Cove. Look for a big white water tower. Take 183 North from the Arboretum and exit Spicewood Springs Road (left). Tanglewood Park is on the right side, on the corner of Spicewood and Rustic Rock Drive, about .7 miles from 183. Waterloo playdates - Located on the north east corner of 360 and 2222 in the little strip mall.